Legend: Length of bar is how long since their debut in comics, i.e. gold Kryptonite was introduced in 1962 so its bar is 54 years × 10 = 540 pixels long. Assumptions: If I couldn't figure out the colour, I assumed it was green. Jewel colours come from this image. 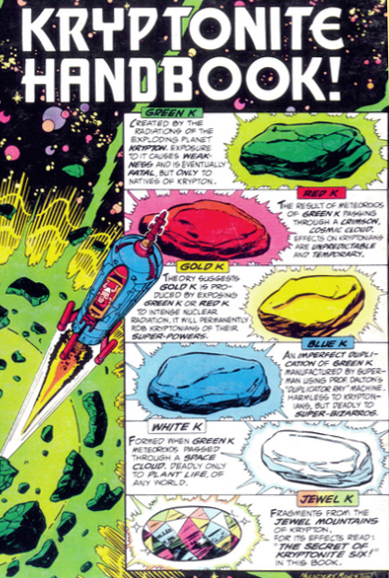 1,2 — There were two unrelated stories which both featured Red-Green Kryptonite.